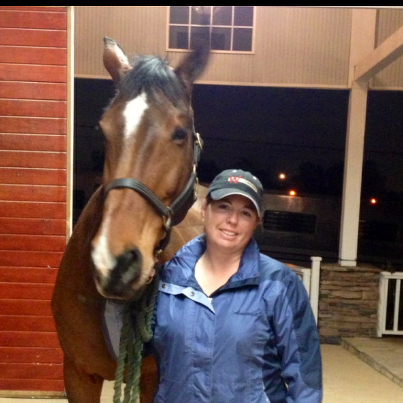 Home » General » Our Awesome Sales Manager Amanda getting another lovely horse off to their new home! Our Awesome Sales Manager Amanda getting another lovely horse off to their new home! Bella is on her way to her new home at Sage Creek Equestrian Center in Utah. Those 2:00 am surprise shipper phone calls make me thankful to live on the farm! !